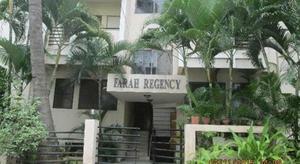 South west facing 3 BHK apartment for Lease in express residency apartment. Basappa road Shanti Nagar, Bangalore. The apartment is a Semi furnished property with Geysers, Fans, Lights, Chimney, Modular Kitchen, Wardrobes. The building has a total of 4 floor(s) and the apartment is on the Third Floor. The apartment is available for Lease at Rs 45 Lakhs. This apartment also has 2 balconies, Study room, Servant room, Patio, In house garden, Kids room. The apartment offers you an unparalleled living experience with amenities like Corporation water, Drainage facility, 24*7 power backup, Lifts, Security, Visitors parking, , Feng shui / vastu, CCTV, Community hall, Service lifts, Maintenance staff, Jogging track, Garbage chute, Jacuzz. …Terms and condition are flexible and tenant oriented.